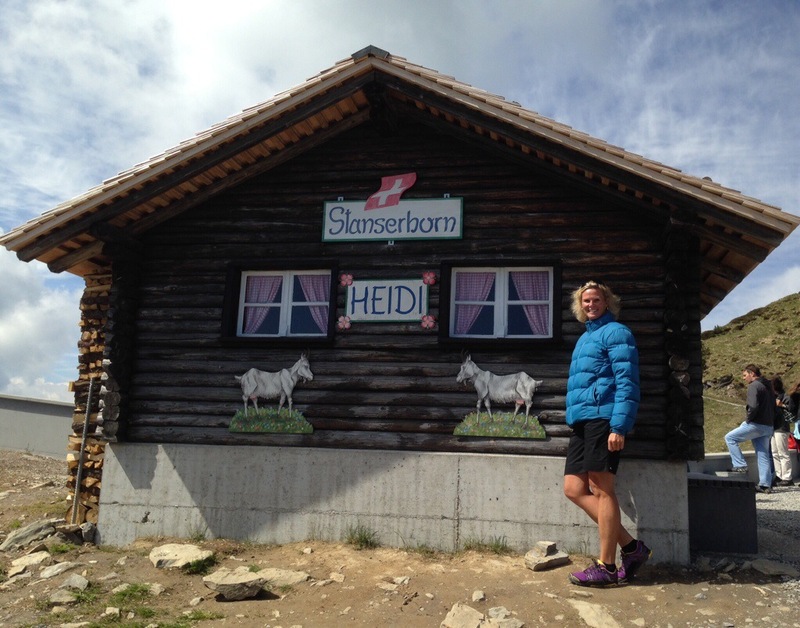 Today we went up the Stanserhorn Mountain – it is 1,898 metres high. 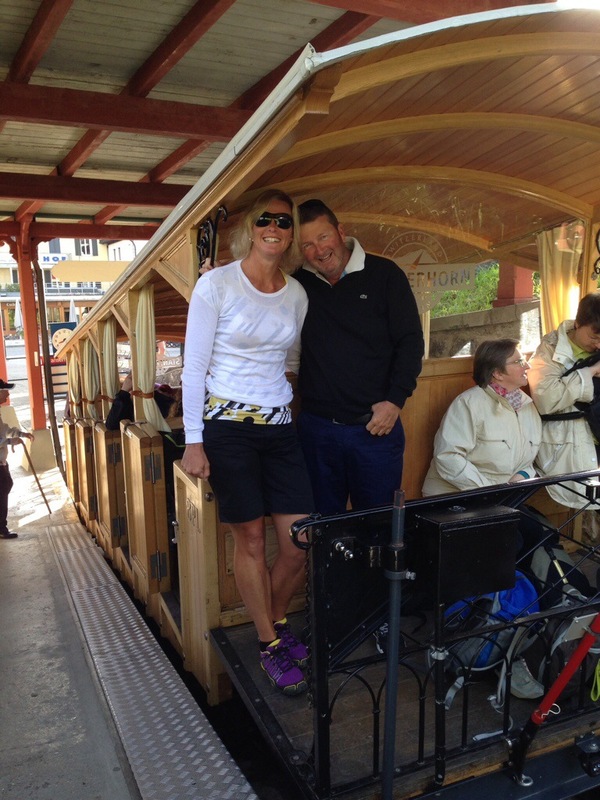 Firstly we took a funicular and then an open top cable car. It was a fantastic morning and the views all around were great. We had breakfast up there at the revolving restaurant. The open top cable car or Cabrio was amazing and the ride was quite exhilarating especially when it went over the four pylons that house the structure that powers it up and down the mountain. 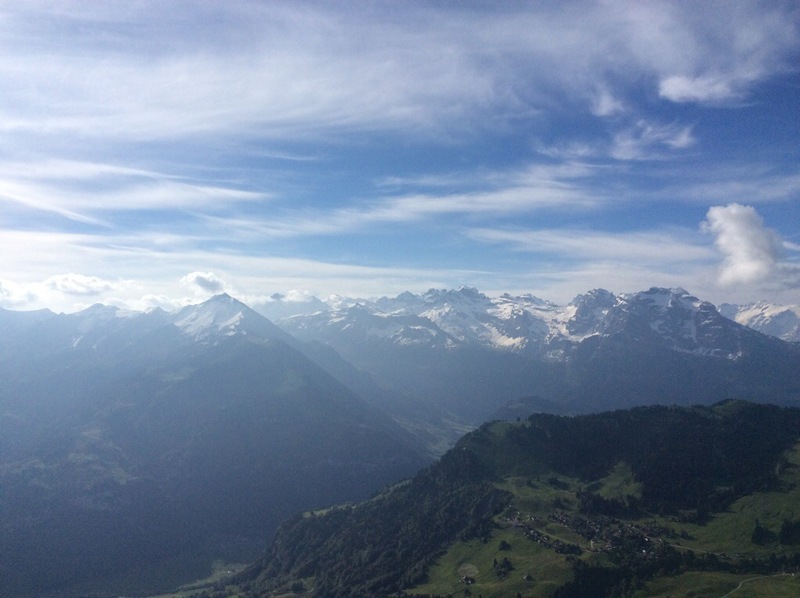 The Stanserhorn mountain is located in the canton of Nidwalden close to the border with Obwalden, at 1898 meters above sea level. 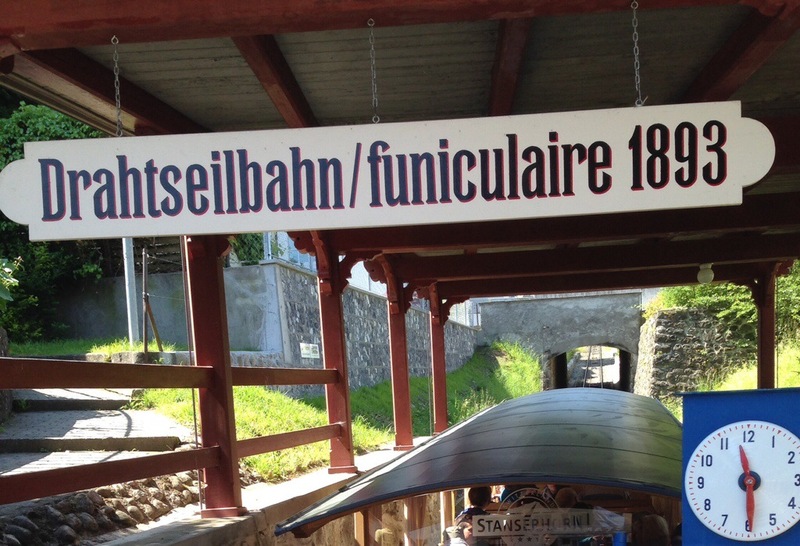 In 1893 a funicular railway was built to transport people from the base of the mountain to the summit, with the upper section being replaced in the 1970s by a cable car. From the top, one can view as far as Alsace, France and The Black Forest in Germany. In 2001, a revolving restaurant was built on the top. 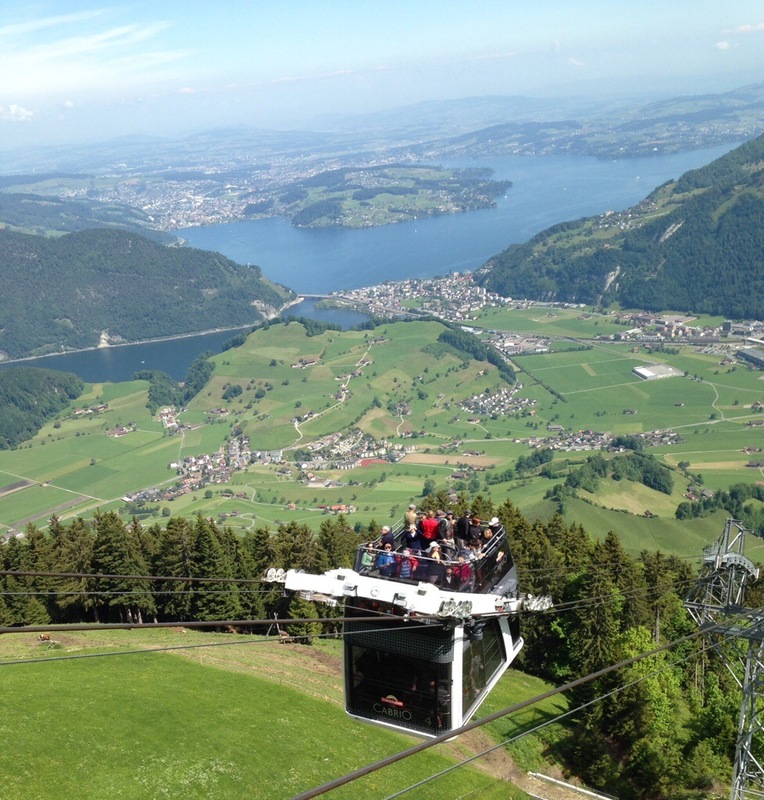 On 29 June 2012, a new cable car CabriO was opened to the public, with a capacity of 60 persons in each of the two cars. Unusually, it has a double decker arrangement, and is claimed to be the first in the world with an open-air upper deck, which has standing room for 30 persons. We had a good walk around after breakfast and then did a walk around taking in all the views. 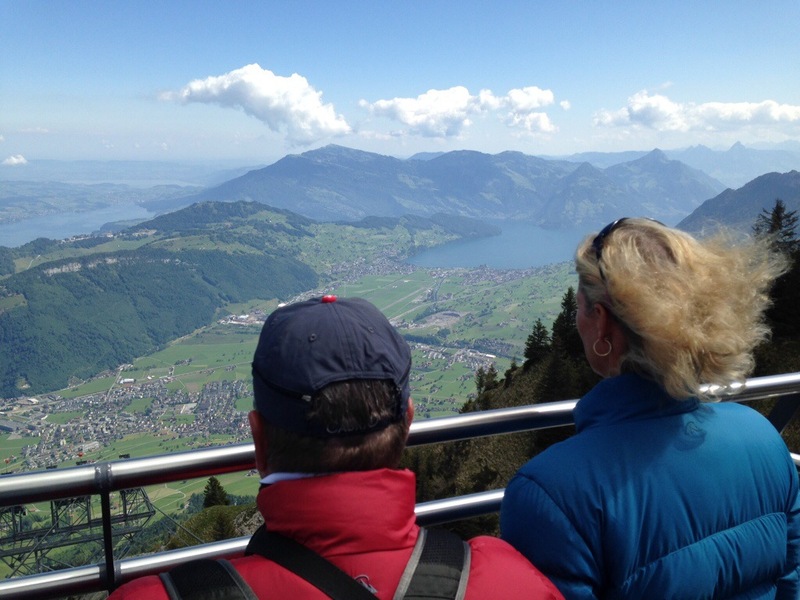 During the ride up and while you are on the top you have a great view to Mt Pilatus. 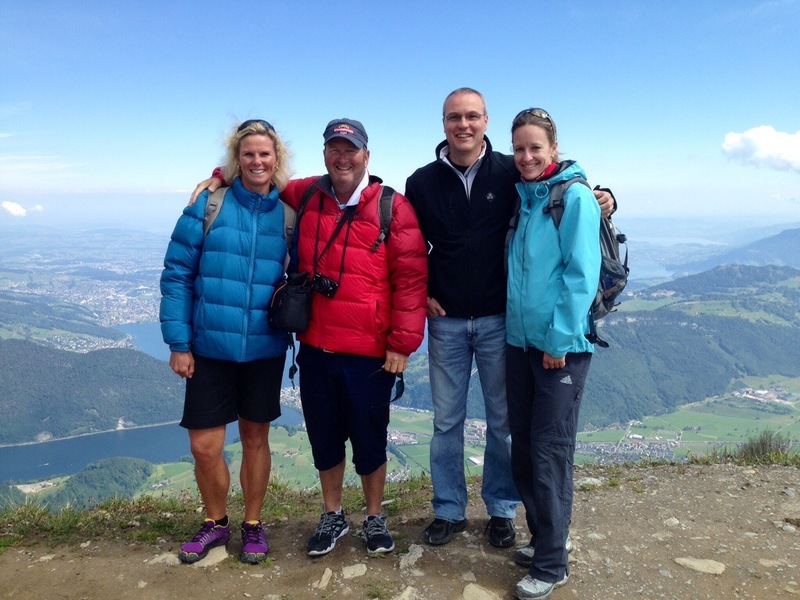 Mt Pilatus is well known with the tourists that visit Switzerland – it has great views over Lucerne. 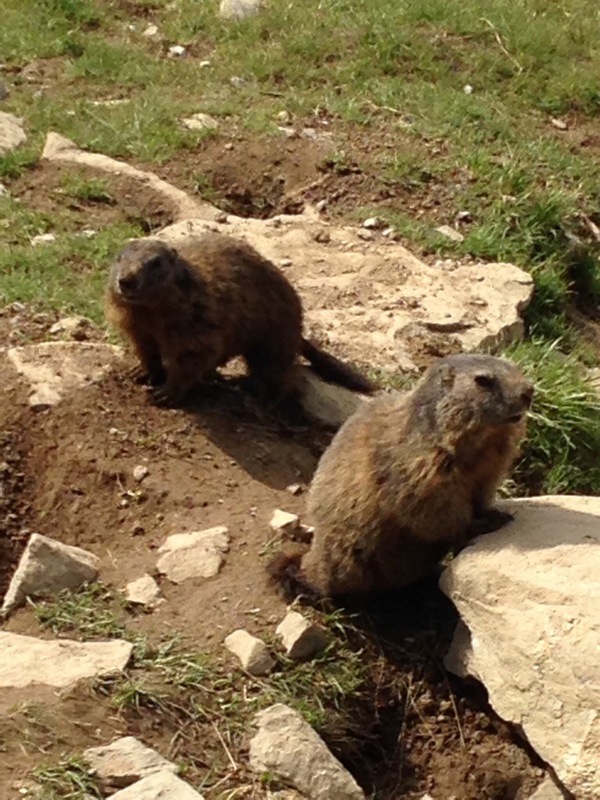 We also visited the Marmots. Marmots are large squirrels who mostly live in mountainous areas. Marmots typically live in burrows and hibernate there through the winter. Most marmots are highly social and use loud whistles to communicate with one another, especially when alarmed. Marmots mainly eat greens and many types of grasses, berries, lichens, mosses, roots, and flowers. 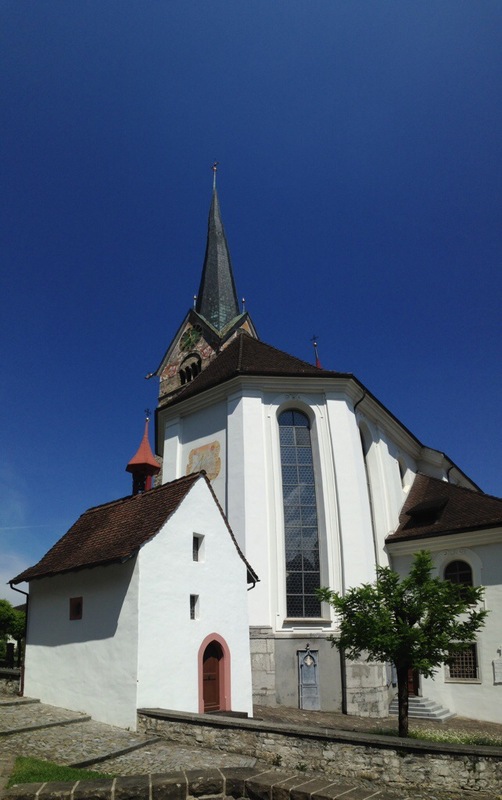 After visiting the Stanserhorn we went down to Stans which is the capital of Nidwalden and visited the Catholic Church. It was originally built between 1641 and 1647. Elvis is a fountain of knowledge in many areas so it is like having your own private tour guide. He pointed out the things that you will always find in a Catholic Church – statues of Peter, Paul, Joseph & Mary and pictures of the 12 steps from when Jesus was condemned until he was taken down off the cross. They also had a statue of Saint Nicholas who is considered the Saint of Switzerland. He played an important role in bringing together the three original canton’s in Switzerland with four other cantons in 1481. 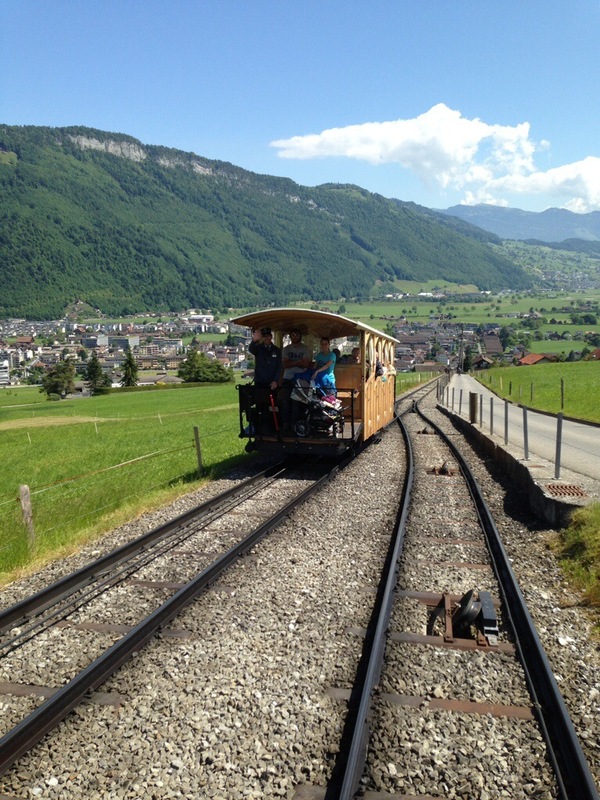 The three original cantons were Uri, Suisse and Nidwalden – these were rural cantons and the cantons wanting to join were city cantons so there were a few differences of opinion. Outside the church there was a statue of Arnold von Winkelried. Arnold von Winkelried or Arnold Winkelried is a legendary hero of Swiss history. According to 16th century Swiss historiography, Winkelried’s sacrifice brought about the victory of the Old Swiss Confederacy in the Battle of Sempach (1386) against the army of the Habsburg Duke Leopold III of Austria. According to legend, the Swiss initially could not break the close ranks of the Habsburg pikemen. Winkelried cried: “I will open a passage into the line; protect, dear countrymen and confederates, my wife and children…” He then threw himself upon the Austrian pikes, taking some of them down with his body. This broke up the Austrian front, and made an opening through which the Swiss could attack. We then walked up to the college that Elvis went to – this college was run by the Monks until 1987 when the canton took over it’s running and administration. 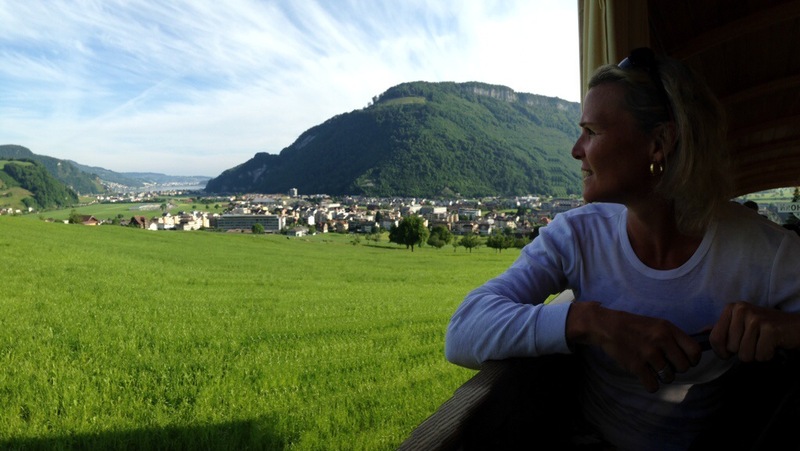 Rach I am so envious……Looks fabulous over there.What is temperature up on those mountains? 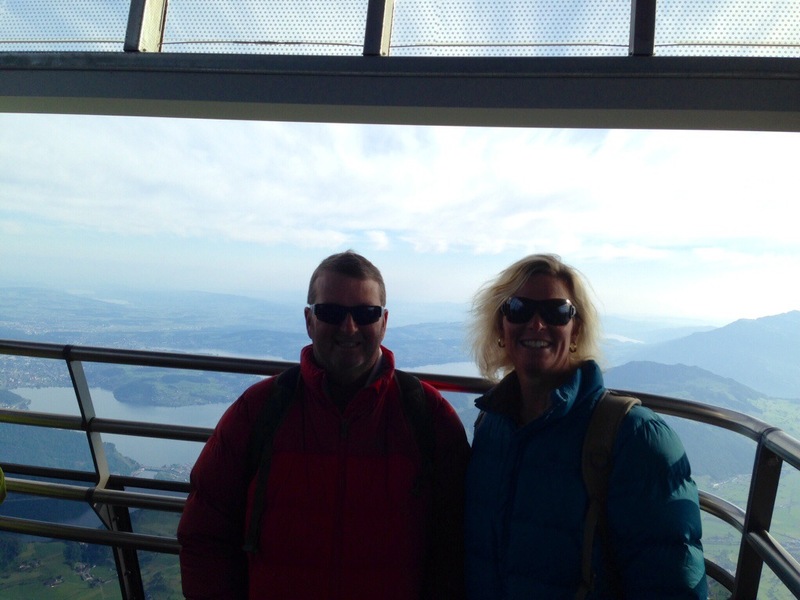 Hi rach, this is what we couldn’t do from lucerne due to the weather, looks fantastic, very jealous… How have you managed those photos, are you able to put two with same background together somehow.